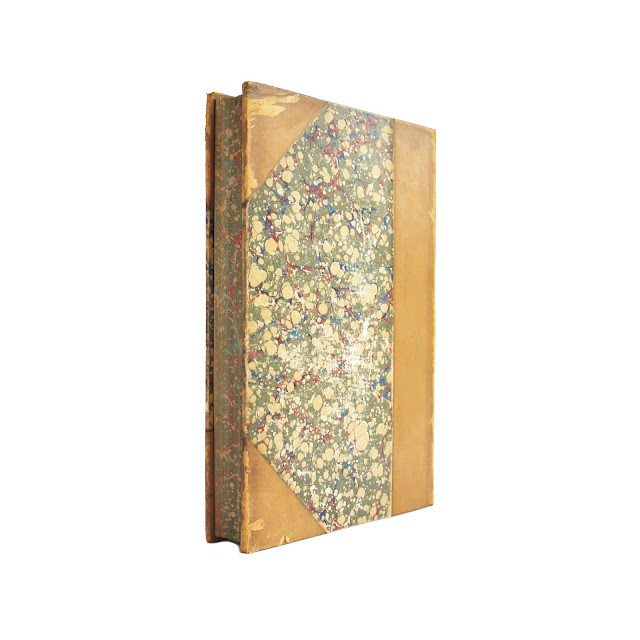 Custom bound in 3/4 leather with marbled boards, gilt lettering on spine. 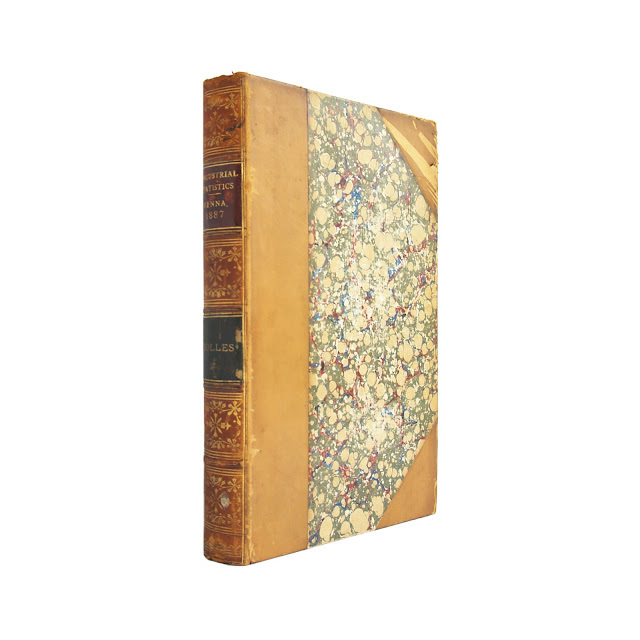 Illustrated throughout with engravings. 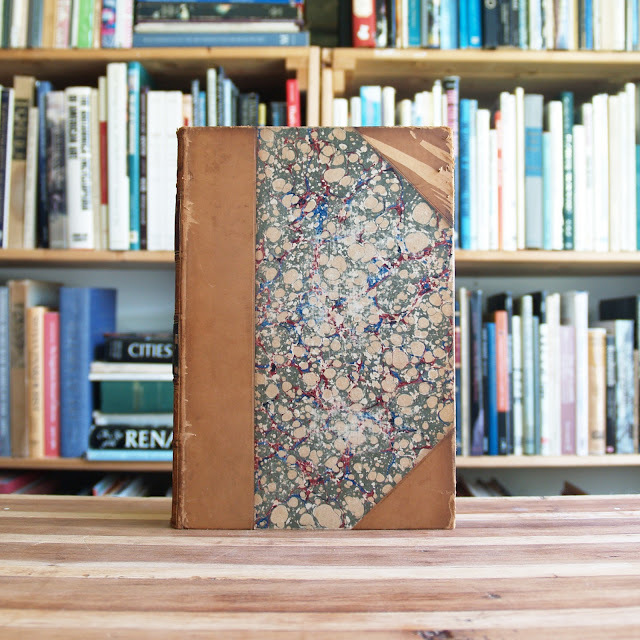 Marbled endpapers, marbled edges. Wear at spine ends and at corners. Leather shows some wear, pull marks at front upper corner. 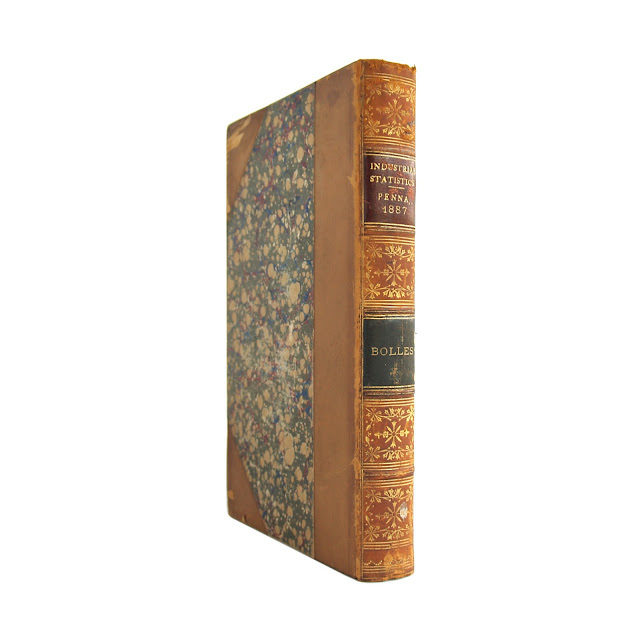 Hinges are tight, pages are very clean and crisp. 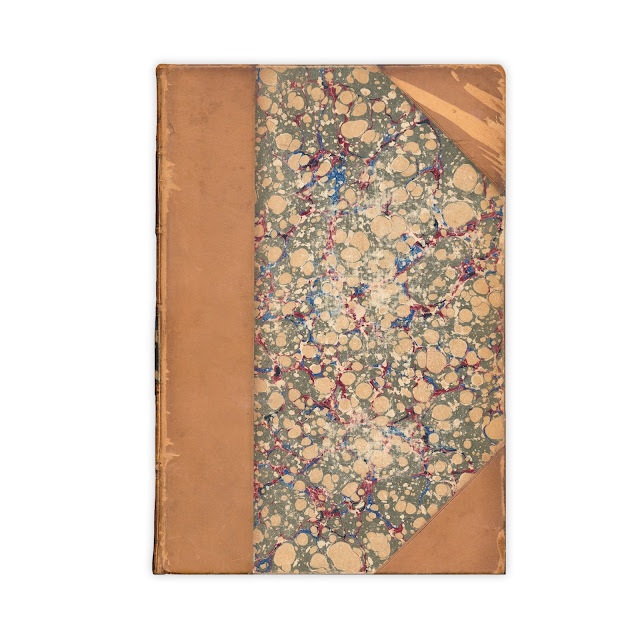 In the process of custom binding, an extra 75 or so blank pages have been bound into the rear of the book, likely to match the width of other books in the original collection.